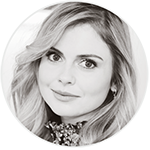 Fans of iZombie can now get inside Rose McIver’s brain with CWestionator! iZombie airs on Tuesdays at 9/8c. HQ screencaps have been added to the gallery!